Knowing the best spots to appreciate Chile’s natural landscape can be tricky. 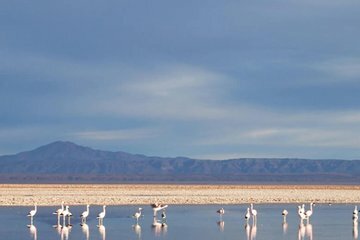 Discover the country’s largest salt flat on a day tour to Salar de Atacama, and visit one of the elevated region’s villages along the way for insight into traditional Chilean culture. Explore the rural terrain with ease, with round-trip transfer from San Pedro, and benefit from insights provided by your local guide. if your Hotel is not on the list, your meeting point is Ignacio Carrera Pinto 451.